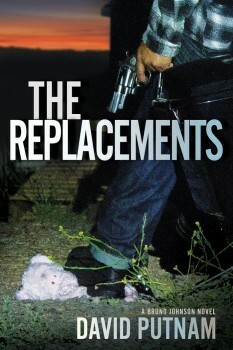 In David Putnam’s new novel, THE REPLACEMENTS, ex-cop Bruno Johnson is drawn into a deadly, twisted game to save two kidnapped girls. They’re in the hands of Jonas Mabry, a man Johnson once saved from death—as a child, Mabry was shot by his own mother. Now, seeking a warped form of revenge, he’s demanding a $1 million-dollar ransom for the girls. Following the events of 2014’s The Disposables, Johnson is living in Costa Rica when the book opens. He’s hiding out from the FBI, tending bar and supporting eight children he illegally rescued from abusive homes. Johnson agrees to help a former colleague and risk arrest back in L.A. to help track Jonas down. 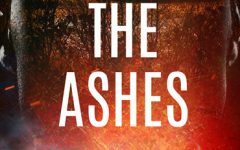 To write THE REPLACEMENTS Putnam, who’s now retired, draws on his former law enforcement experience. During his career, he worked primarily in California on teams for patrol, investigations, S.W.A.T., narcotics, violent crimes, criminal intelligence, internal affairs, detective bureau, and as child protective services coordinator. His final assignment in law enforcement was as a Special Agent working in Hawaii. He took some time out from growing organic California avocados and spending time with his wife, Mary and their two dogs, to answer a few questions about THE REPLACEMENTS, and writing contemporary thrillers. Your hero from The Disposables returns in THE REPLACEMENTS to work on a case for which he has a strong personal tie. How important do you believe a link between the hero and his goal is in a contemporary thriller? I believe the goal is only the vehicle or framework to display character. What is more important is how the character evolves within that framework. In order for the story or novel to be a success, the character has to be three-dimensional. I believe this is accomplished through voice: consistent, strong, emotional, unique and with nuance of point of view. A long-time mentor of mine, Jerry Hannah, has always drilled into me that: story is not story; character is story. In THE REPLACEMENTS, your hero starts the story as a fugitive in Costa Rico and is forced to return to a Los Angeles where he’s a wanted man. That’s the kind of tension seen in many noir and Hitchcockian thrillers. Was it interesting to work with a character with so much at stake and how did you keep his multiple threats immediate in the story? I start writing a story with a strong and emotional inciting incident. In the case of THE REPLACEMENTS I started with The House That Bled—an event that I actually experienced early in my career. I then wrote the book keeping this event in mind, and how it would change my character Bruno Johnson. The other conflicts are based on motivation, action, reaction, which basically means that if I toss that ball in the air, I have to juggle it all the way to the end. I keep the threats active in the story by writing notes at the bottom of the text that I continue to push down as the novel progresses. As I come to the note and include the idea in the story, I delete it. I start off the writing day by reading these notes to keep them fresh in my mind. How important is some empathy for a villain? Jonas Mabry, your antagonist, is certainly a complex character and not the typical mustache twirler. The villain has to be complex. Jonas Mabry has to be three-dimensional or his character will fall flat. And if you have a flat antagonist then how good can your protagonist be? The antagonist has to be just as important as the antagonist. Jonas is someone Bruno Johnson once helped. He’s a victim who’s turned into a threat to two young girls. Is he inspired by any young people you saw go wrong while working in association with child protective services? Working in law enforcement for thirty-one years, I have seen young criminals evolve just like a character should in the story. As they grow older, their crimes become more complex and/or violent. Their language and cunningness in how to evade law enforcement improves with each arrest and journey through the justice system, not unlike the antagonist should in the story. I grew up with a cousin who had the same advantages I had. He went astray due to drugs and his lack of parental supervision. My cousin and my aunt hired a hit man, and had my favorite uncle assassinated. My cousin and the hit man are still in prison to this day, forty years later. There’s a lot more to that story and, no matter what I believe, that event had to impact my life in some way. What do you see as essential in keeping the pace and tension building in a thriller? Structure. I write to the four Cs (Conflict, Complication, Crisis, Conclusion) and they never let me down. I use this structure not only in the overall construct but in the individual scenes as well. And equally important: MAR: motivation, action, reaction. Your real life work with the protection of children is evident in your fictional universe. What other aspects of your law enforcement career such as your S.W.A.T. experiences have influenced your fiction? I specialized my entire career versus working patrol and the detective bureau. I worked narcotics, S.W.A.T. and Violent Crimes chasing the worst that Southern California could offer. In doing so, I experienced violent confrontations (officer-involved shootings, fights, and even running over a few violent criminals with a car) far more often than the average cop. I try to incorporate how these types of events impact and change the character by making them as real as possible. Writing fiction is all about communicating emotion and conflict. I think my past helps a great deal, and definitely influences my work. What authors have influenced you, and when did you first want to put pen to paper, so to speak? Is writing a lifelong goal? I started writing two novels in high school and never finished them. I became enamored with law enforcement. I wanted to play cops and robbers and found that they would pay me to do it. How great was that? I have always been an avid reader and kept novels in the backseat of my undercover car for the slow times. One day, twenty-two years ago, I was out in the middle of the Mojave Desert doing surveillance on a meth lab. I was down to my last book, and started reading it. I found it to be absolutely horrible. But I was stuck—I had nothing else to read. After I finished, I thought I could do better, and wrote my first four novels longhand on legal pads. What I didn’t realize was that a great author made it look easy. I continued to write for twenty-two years, and finally sold the thirty-fourth manuscript—this after four agents and upwards of a hundred and fifty rejections. I’m on manuscript number forty-one right now. Do you have more plans for Bruno? Are their other areas of your law enforcement work you want to touch on in novels? Some of your real Hawaii experiences or anything like that? After trying so long and with so many rejections, I’m going to keep writing Bruno until the publisher says “no,” which I acknowledge can happen at any time. But don’t misunderstand. I really enjoy writing Bruno and have a lot of fun with him. During his law enforcement career, David Putnam worked primarily in California on teams for Patrol, Investigations, SWAT, Narcotics, Violent Crimes, Criminal Intelligence, Internal Affairs, Detective Bureau and as child protective services coordinator. He rounded out his law enforcement career with a few years in the Hawaiian Islands as a Special Agent-part of a real-life “Hawaii-50? team. He’s now retired from law enforcement and spends his time growing organic California avocados and writing, with his wife Mary and their two dogs. To learn more about David, please visit his website. Sidney Williams is a former newspaper reporter who has conducted hundreds of interviews with authors, actors, directors and screenwriters. He has also written supernatural thrillers, comics, graphic novels, audio dramas and short stories. 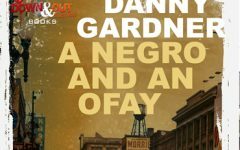 His early titles along with a new crime novel, Midnight Eyes, have been issued in audiobook and e-book formats from Crossroad Press. His young adult novel, New Year’s Evil, was optioned for a possible TV movie. He currently teaches creative writing with a focus on horror, mystery and suspense. A short-thriller novel called Dark Hours is due soon. Visit Sidney on the web at: www.sidisalive.com.